The 45-year-old could face a potential state prison term if convicted as charged. One of the alleged victims of the so-called "Dine-and-Dash Dater" testified Tuesday that she used part of her rent money to pay the check after he allegedly left the Pasadena restaurant where they had shared a meal on their first date. As a hearing got underway to determine if there is enough evidence to require Paul Guadalupe Gonzales to stand trial, the prosecution's first witness, Martha Barba, testified that she knew she would be left with the bill the moment he walked out of the restaurant where they had dinner together on July 4, 2016. "I just felt it in my gut," she said. Gonzales, 45, is facing eight felony counts of extortion and two felony counts of attempted extortion involving 10 women, along with one misdemeanor count each of petty theft and defrauding an innkeeper. Four other counts -- three counts of extortion and one count of defrauding an innkeeper -- were dismissed as the hearing began, with the prosecution citing the unavailability of witnesses. Deputy District Attorney Michael Fern alleged that Gonzales met his victims through online dating sites and dashed out of restaurants without paying his share of the bill. Barba said she met Gonzales through the online dating site Plenty of Fish and agreed to meet him for dinner at a Chipotle restaurant in Pasadena, but he subsequently asked to leave the fast-food eatery and go to a nearby Houston's restaurant while assuring her that he would pick up the tab. Gonzales "mentioned something about Facetiming with his kids" after the two ate, and said he said he had to go outside to speak with them, but never returned, according to Barba, who identified the man in court as Gonzales. Barba said she asked the waitress for the bill -- which she thought was close to $200 -- and paid it because she was embarrassed about what had happened. "I felt humiliated a little bit," she said. Superior Court Judge Darrell Mavis was also expected to hear testimony from a number of other women, with the hearing expected to wrap up late Tuesday afternoon in a Pasadena courtroom. Gonzales was initially charged July 3, with the prosecution filing additional counts against him late last week. The criminal complaint alleges that the crimes occurred between May 2016 and April 2018. 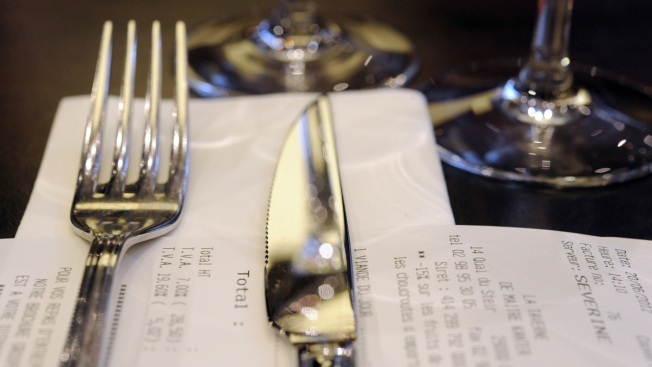 A court filing prepared by Fern alleges "the defendant frequented restaurants with the intent of ordering expensive meals without paying for them. Rather than simply 'dine and dash' on the restaurant's dime, he set up a third party to take the fall." The prosecution's filing alleges that Gonzales' "modus operandi" involved befriending a woman on an online dating website or service, asking her to accompany him to a restaurant under the guise of a "date," feigning an excuse to leave the table and "exiting the restaurant and leaving the woman behind, so that she would end up with the restaurant bill and pay it out of fear of embarrassment or shame." The court filing alleges that the bills -- from restaurants in Los Angeles, Long Beach and Pasadena -- ranged from almost $81 to about $250. Gonzales allegedly told his dates that he was headed to the men's room or out to retrieve a phone charger from his car, among other excuses, before leaving a restaurant without paying any of the bill. Most of his alleged victims ended up paying the bills themselves. Gonzales also received a haircut and color treatment from a Pasadena salon in April and left without paying, according to the court filing. Just before the day's proceedings were to begin in Gonzales' case, he asked to speak to the judge privately about his attorney, Deputy Public Defender Salvador Salgado. After a lengthy hearing that was closed to the public, the judge said he had heard the defendant's request to relieve his attorney and decided that Salgado would remain on the case. Gonzales said he was mulling over whether to act as his own attorney. Gonzales, who has remained behind bars since being arrested Aug. 25 by Pasadena police, could face a potential state prison term if convicted as charged.